Here are some good foods for healthy hair growth that will help your hair look shiny and lustrous. Just as our body needs nutrients to stay healthy, our hair needs food and nutrients to grow and stay healthy. Hair is made of protein. It is essential to include proteins in your diet to keep your hair nourished making it grow strong and healthy. 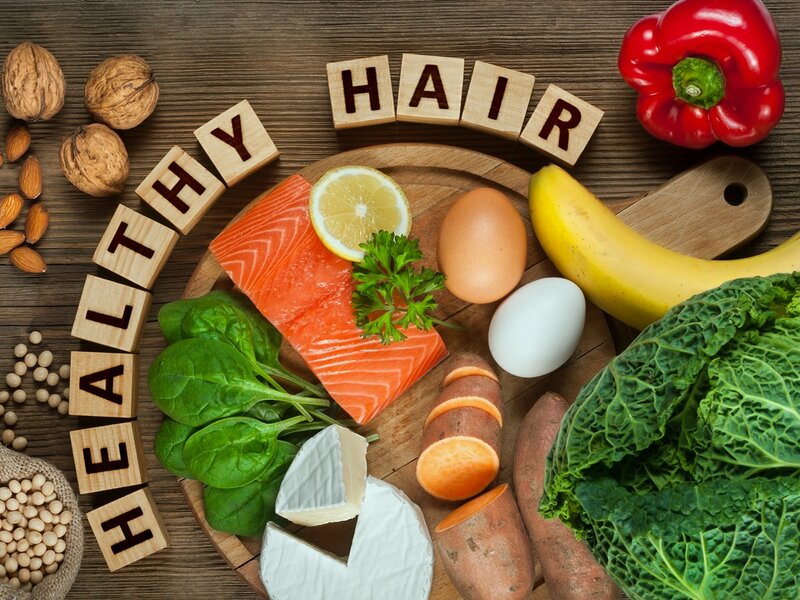 The Dermatologists at the American Academy of Dermatology have stated that the main reason for hair loss and hair thinning is a protein deficiency. 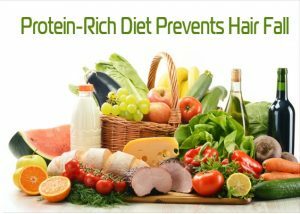 To avoid the risk of hair loss and hair thinning, Protein rich food is among the most important fast hair growth tips. Your hair will become weak, dry, dull and brittle if you are not consuming enough protein. For non-vegetarians, you can include eggs, fish, meat, dairy products, and poultry in your diet. For vegetarians, you can include nuts, legumes, vegetables or grains in your diet. Vitamin C is the most abundantly available vitamin and yet people suffer from its deficiency. It is a water-soluble vitamin that is present in its natural form in most foods. Besides being beneficial for skin and body, the vitamin is also beneficial for Hair. In a study by Sung et al., it was found that Vitamin C stimulated the significant growth of cells in the scalp and promoted hair follicle growth. Vitamin C reduces the formation of DHT, hence bringing improvement in hair growth. The vitamin also fights dandruff, hair breakage, prevents greying, and also maintains the shine. The deficiency cannot be fulfilled with only consuming food items, it has to be accompanied by taking Vitamin C supplements. In everyday food items, Vitamin C can be found in Oranges, Strawberries, Citrus fruits, blueberries, kiwi, pineapple, mangoes, papaya, tomatoes, spinach, spinach, cauliflower, and turnips. Iron is the most important nutrient for hair growth as it carries oxygen to the roots. The deficiency in iron that leads to anaemia results in hair loss, thinning and poor hair health. Hair loss due to iron deficiency can be reversed by taking iron supplements and foods that are rich in iron. Women experience excessive hair loss due to iron deficiency. 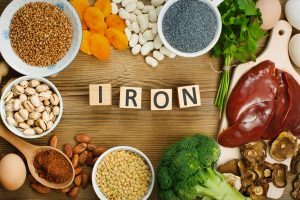 Iron produces red blood cells and a low count of RBC hampers the transfer of oxygen to the organs and tissues. Foods rich in iron for vegetarians include tofu, dry fruits, lentils, beans, pumpkin seeds, whole grains, green leafy vegetables, Eggs, and dairy products. For non-vegetarians, they can include iron in their diet with consuming, red meat, liver, oysters, mussels, Lamb, ham and Tuna. Vitamin A is important for healthy hair and the deficiency of this vitamin can lead to hair loss. It keeps the scalp moist and repairs the hair. As an antioxidant, it guards the hair follicles against damage. The hair can go brittle and dry due to low levels of the vitamin. Higher amounts of Vitamin A can result in the hair follicles going into overdrive and reaching the growth phase too quickly and fall out. 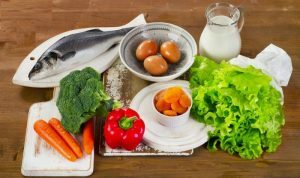 The best way to intake Vitamin A is through food. Avoid taking Vitamin A supplements as it may result in an overdose of the vitamin in the body that can lead to hair loss. 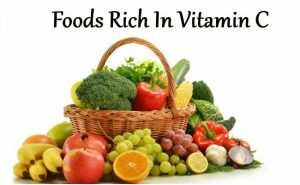 Foods that are rich in Vitamin A are liver, eggs and dairy products, dark yellow or orange fruits and vegetables such as carrots, sweet potatoes, apricots, peaches, mangoes and pumpkin and dark leafy green vegetables like kale, romaine lettuce. Omega 3 has numerous health benefits along with transforming the hair. 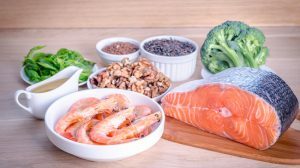 These unsaturated fatty acids are not naturally produced by the body, hence to get the lustrous, healthy hair you need to include Omega 3 in your diet. It not only prevents hair loss and breakage but also encourages the growth of new hair. Omega 3 further reduces inflammation and nourishes hair follicles and overall health of the hair. It promotes blood circulation, prevents dandruff and dryness, soothes the scalp and transforms lifeless and dry strands. If included in the diet on a regular basis it helps in restarting the growing process of hair. Foods such as salmon, sardines, and herring are rich in Omega 3 fatty acids. You can find it in nuts and seeds like walnut, walnut oil, Flaxseeds, canola oil, pumpkin seeds and soybean oil. Vitamin E is also known as Alpha-Tocopherol. It is most commonly found in oils used usually in massages and oil treatment of the scalp and hair. It helps to stimulate the hair follicles through blood circulation and provide nutrients for hair growth. The vitamin is beneficial in normalizing the production of oil and pH levels on the scalp by keeping the scalp moisturized. It repairs split ends, prevents premature greying, tackles dryness and keeps hair conditioned. There are plenty of ways to include Vitamin E in your diet. 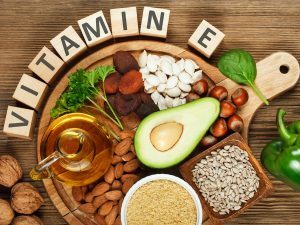 Of course, the most common method is Vitamin E capsules and tablets. Foods that are rich in Vitamin E are green leafy vegetables like kale, spinach, mustard. Almonds are the best source of Vitamin E and are very effective as a hair oil. Fruits such as kiwi and papaya are a good source so is avocado. Biotin belongs to the Vitamin B family and is a less known vitamin. It is also known as Vitamin B7, Vitamin H or Coenzyme R and in essence has the ability to promote cell growth. Biotin helps in making hair look thicker, healthier, and full also preventing dullness and brittleness. Biotin is known to treat hair disorders like alopecia in children and adults. The University of Maryland Medical Centre has reported that Biotin has helped in strengthening hair, increasing volume and ensures the scalp is free of dry skin. Foods containing biotin are peanuts, walnuts and almonds, bananas, eggs, mushrooms, salmon and avocado, however in small amounts. 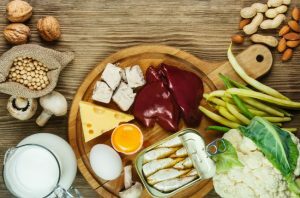 You can increase the intake of Biotin by including meats like kidney or liver, egg yolk, soybeans, cauliflower and whole grains.